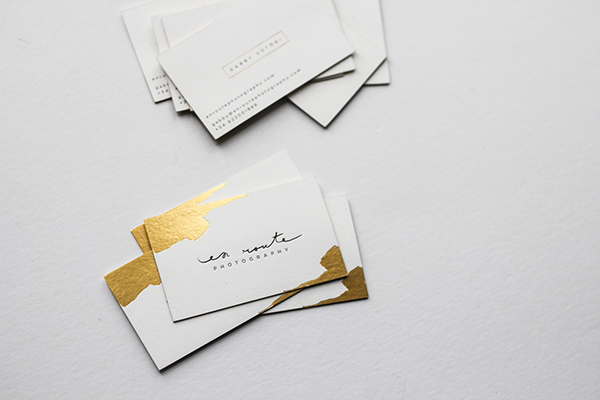 Graphic Designer Belinda Love Lee created a minimal, clean brand identity with pops of metallic gold for fine art wedding photographer En Route Photography. 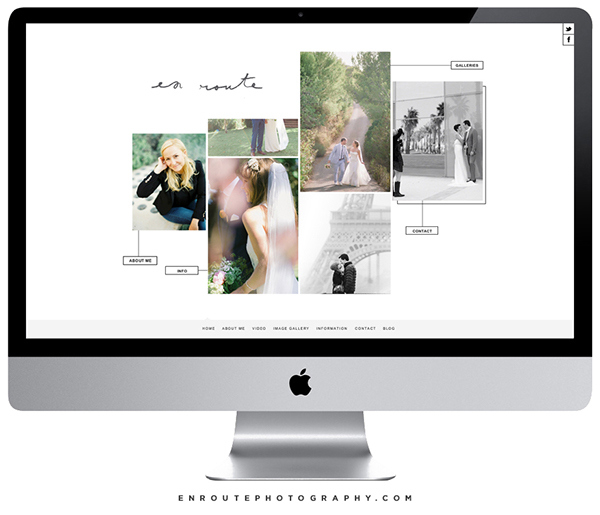 Here's a brief Q&A session with Gabby, the owner of En Route Photography, who is based in Barcelona, Spain. How would you describe your photography brand? En Route is modern, stylish, fashion forward and editorial while being classic and timeless at the same time. How did you decide on the colors and layout of your website? I had my website layout/template before I even contacted Belinda. I created my first (Showit) website myself years ago and I new I wanted to use the same platform to create my website based on a template from the same designer (Promise Tangeman) so that made choosing a design a lot easier. I wanted a design that’s simple but with a twist, easy to navigate, mobile friendly and of course…very very pretty in a non watercolour-pastel way! I am very much attracted to luxurious simplicity so I wanted the core of my branding to be black and white with a touch of gold/glitter for femininity and a lux feel. Did you create a mood board to help with the design? What was your inspiration? Yes! I spent a “few” hours on Pinterest… :) I used the colours as basis for my inspiration board and used fashion bloggers, etc to further elaborate on my idea. What was it like working with Belinda Love Lee? She was just such a doll to work with! Extremely professional, but warm and super friendly. I felt like I’m creating my new brand with a dear friend! You can follow Gabby on Instagram @enroutephoto and Belinda at @belindalovelee.